Wixstars is a new online casino brand which opened in late 2016 with a host of online video slots, scratch cards and table games from the best real money gaming software studios like Microgaming, Net Entertainment and Play’n Go. Based in Romania and run by Aspire Global International (known for other top-rated casino websites like Karamba), Wixstars is great for new players and can be accessed via instant play mode on your computer or mobile Web browser without the need to download any special software. Sign up at Wixstars.com via our links to redeem a generous welcome bonus of 100% matched deposit bonus up to $200 on your on your first deposit, and 20 free spins to use on online video slots. If you deposit $100, for example, Wixstars will match it and credit your account an additional $100 in bonus money – a great starting balance to take advantage of. If you make a second deposit on the second and third day of at least $20, you are also eligible to be credited an additional 40 free slots spins per day. Make sure to use all of your slots spins within 24 hours, as they expire after a day. If there is one thing we noticed that is a minor drawback of the generous bonus welcome offers, it is the 35x wagering requirement attached. This is a heavy play-through requirement that deems it necessary for players to bet 35x the amount of your bonus money before you are allowed to withdraw any winnings. This is common at other licensed online slots sites, but we were hoping for a more relaxed stance from a newer casino website on the market. Wixstars currently accepts players from the following regions: Austria, Australia, Canada, Finland, Germany, Ireland, Netherlands, New Zealand, Norway, Sweden and Switzerland. 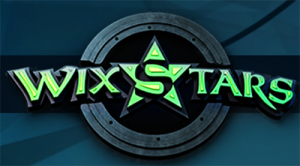 Wixstars has a VIP Club for members, split into six tiers – Bronze, Silver, Gold, Platinum, Premium, and Prestige. The more you play, the more points you earn towards the next tier and the higher the ladder you climb for bigger loyalty membership rewards. For example, VIP prestige members get express cash out and 50 free games every Sunday. Unfortunately at this time Wixstars does not seem to be running any daily, weekly or monthly promotions for members. Compared to other sites with active offers it is a downer, but it is mostly due to the fact Wixstars are quite new on the market and still finding their feet, so we can let it slide if they are as generous as the current welcome bonuses. Wixstars is an instant-play online casino website, which means no downloading of special software is required to play and all platforms are supported – including PC, Mac OS X, and the various popular operating systems of mobile smartphones and tablets (Android, iOS, Windows). The Wixstars casino interface is easy to navigate on desktop or mobile Web browsers. 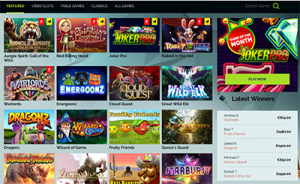 Games are laid out in a Netflix-style interface and split into several categories for filtering: Featured, Video Slots, Table Games, Classics and All Games. You can test games out for free in practice mode before signing up and depositing betting money for real money play. The games selection needs some improving in the quantity department. There is currently over 150 online video slots available (other casinos boast over 400+ on average), 15 table games (several rule variations of blackjack, roulette, solitaire, and video poker) and 100 scratch cards, with some titles geo-blocked depending on the region you are playing from. Thankfully, many of these games at Wixstars are from the best software developers for casinos, such as Microgaming and Net Entertainment – and there’s a decent selection of slots and scratchies from smaller software outfits like NeoGames which are more unique to Wixstars and helps differentiate them from the bigger competing casino sites brands on the market. For those unfamiliar with live dealer games, read our detailed guide for new players here. Currencies accepted at Wixstars include AUD, BRL, CAD, DKK, EUR, GBP, KR, NOK, SEK and USD. Unfortunately, if your country’s currency is not accepted, you will need to convert your cash into one of the aforementioned supported currencies listed and cop a small conversion fee. For successful withdrawals, you need to provide identity documents to Wixstar to verify your age and location. One thing we noted during our testing for review is there is a $3,000 per week and $7,000 withdrawal limit total per month. All players aside from those granted VIP Platinum membership have to abide by this limit, so take this into account if you are a high-stakes player. All transactions at Wixstars are safeguarded by the latest 128-Bit Secure Socket Layer (SSL) digital encryption technology, which is always a must-have in our books when reviewing casino sites to recommend to prospective players. Wixstars Casino is licensed by the Malta Gaming Authority (MGA) which is undisputedly one of the most trustworthy Internet gambling jurisdictions in the world when it comes to legitimate online casino licensing. which is one of the leading online gambling jurisdictions in the world. The site has also been audited and verified by iTech Labs, a trusted independent body that ensures casino website operators abide by fair play standards.